Guess what, Elaine is not alone! 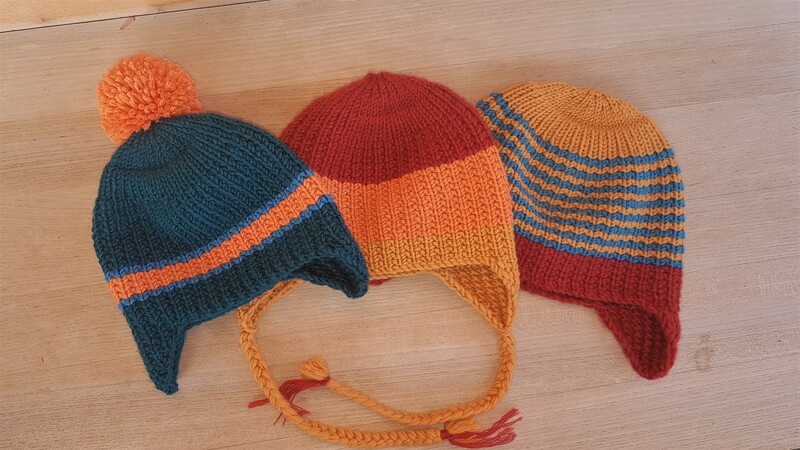 As my children needed new hats, I have also been busy knitting hats. 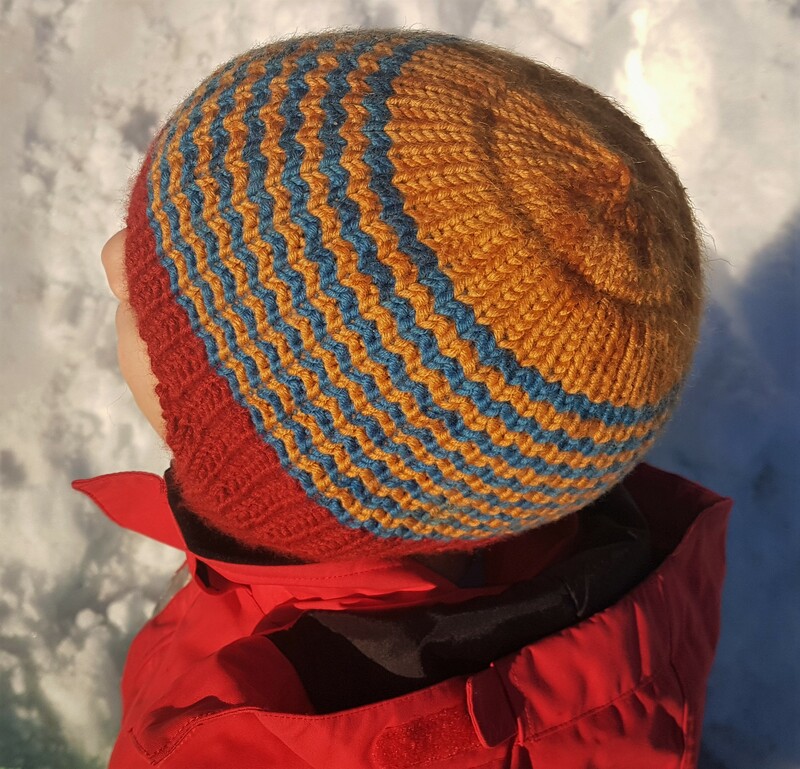 As every previous year it was a bit of trial and error, as I couldn’t find any useful information in my ravelry notes about hats from previous years. Just pictures but nothing about stitch numbers, yarn or needle size used. So, I meant to do it slightly differently this year. And I wrote down all numbers. And made a chart. Only to discover sort of a pattern. 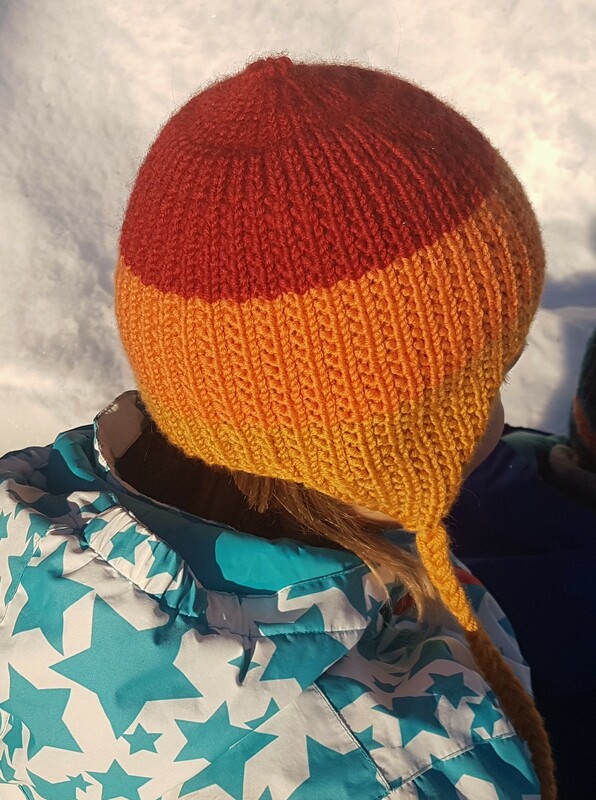 And as the kick in the derriere I had already mentioned in my Elaine post was still fresh, I decided to write down this pattern, too and extend it to a range of sizes, one of them I even test knitted for a small baby head. I was too lazy to look for someone older to verify the missing bigger sizes. 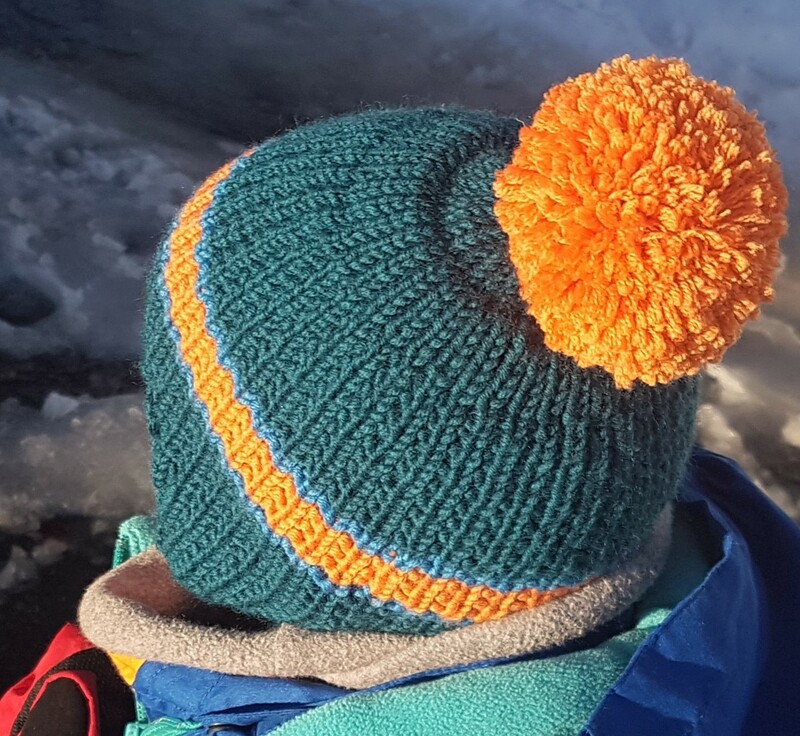 Anyway, here comes Frederick – a not so glamorous but warm woolly hat with ear flaps. Just right for the ending season. 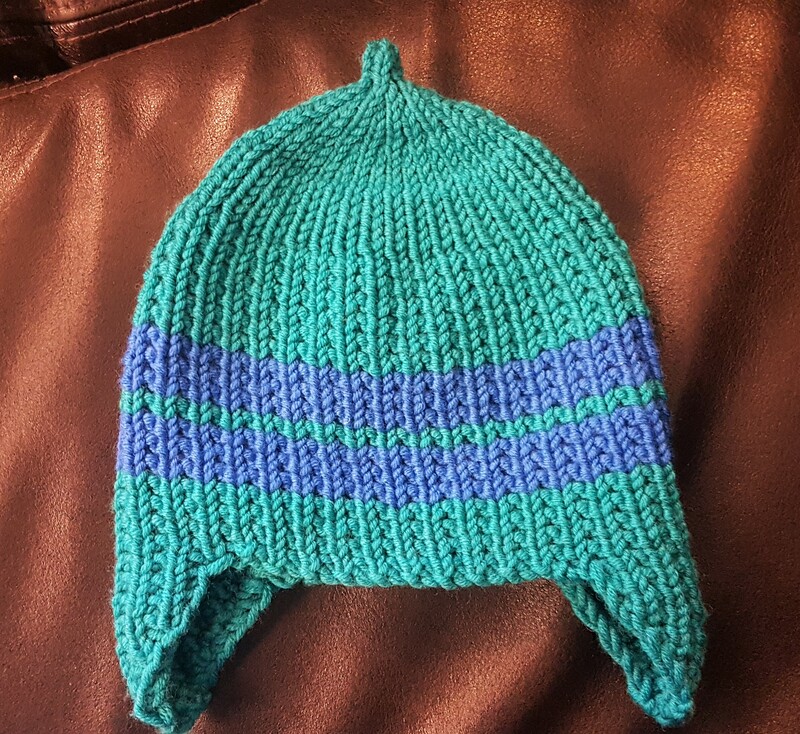 You’ll find the pattern on ravelry. It might be a little late for this season but the next winter will be coming at some point so you better get ready soon.